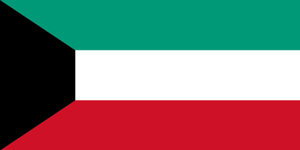 Kuwait is a historical mine and has cultural heritage dating back to antiquity. Ruins from the Mesopotamian era can be seen on its Failaka Island. Kuwait city is home to National Museum and Tariq Rajeb Museum, known worldwide for their ethnographic artifacts and Islamic art. If you are a history buff, then Kuwait is a wonderful place to be. So don’t waste anymore time and plan your historical trip to Kuwait and let TCE be in charge of your money matters. Kuwaiti Dinar is the official currency of Kuwait and each dinar is subdivided into 1000 fils. The code is KWD. It was introduced in 1960 to replace the Gulf Rupee. TCE offers all its customers unrivaled and unsurpassed exchange rates anywhere in Canada. Our customers never overpay, as there are no hidden charges. At TCE, we make sure that all our customer’s needs are catered to on individual basis. Customer satisfaction is our top priority. At TCE, we value our customer’s time and with that in mind we offer all our customers the unique and reliable facility of online ordering with an option for home delivery.